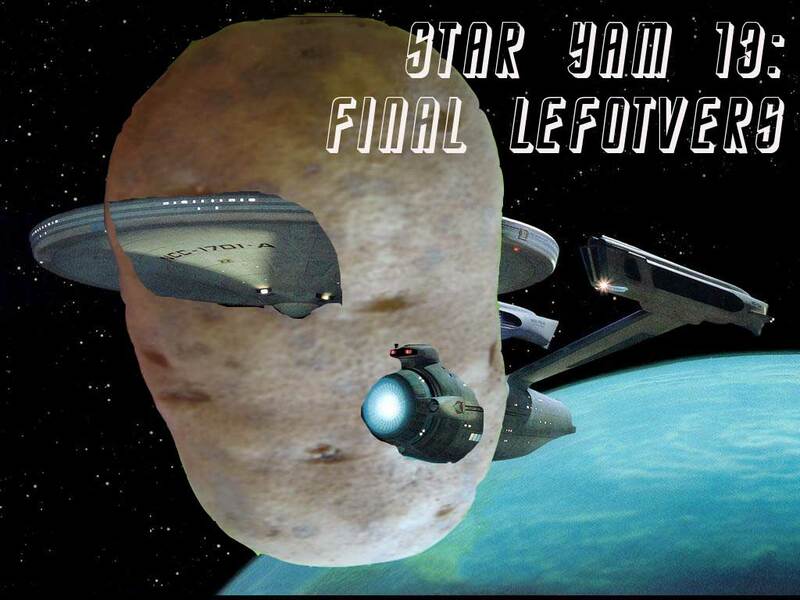 Star Yam 13: The Final Leftovers is the next series of adventures for Captain James T. Fork of the Starship Yamterprise, it’s 9 year mission, to sek out new plates and new celebrations, to boldly go where no yam has gone before! It’s a Yam Jam Theme, starting with Lisa Lane sailing the Yam Boat, Scottlo showing the Yam Who Would Be King, and next, MBS taking my favorite starchy movie, Cool Hand Yam (goes well with eggs). How could I resist? I’m no spud. Now someone needs to make this assignment for ds106, as this is getting out of yam. It could put a whole now flavor on mashed-up assignments. The potato is from Culturally Authenitic Pictorial Lexicon which is becoming a source I like more and more for its creative commons images. Thanks Alan for pulling this all together in one place. I especially am grateful for the CAPL link – had never heard of it before. Hi Alan … I want to thank you for “yamming it up” and motivating the DS106 community to “get creative”. As an educator who has a passion for sharing, I wanted to pay tribute to the ideas and resources that you have so willing disseminated in almost nine years on CogDogBlog! Thanks for caring & sharing. I already got the ping and was reading your post! You are quite yambidextrous! Thanks for the kind words. Now make more ds106 art, damnit!